5 years ago Marcelle King attended an appointment to undergo a Botox treatment with Ozan Melin, a practitioner who she believed to be a cosmetic doctor. Instead, she was injected with a substance made from beef gelatine by a man that held no medical qualifications whatsoever. After seeing an advert for Botox on Facebook that was being held at a local beauty salon, Marcelle made an appointment for the following week. She couldn’t make the appointment that had been booked and instead rebooked. The person that worked at the beauty salon said she was now working from home. She arrived at the residential house, expecting to be taken into a home salon, but instead she was seated in a kitchen. She was told the nurse will be here soon. Feeling a little uneasy and apprehensive at never having had the procedure before, on his arrival Ozan Melin reassured her that she was in safe hands. The procedure which lasted around 15 minutes, comprised of multiple injections that ‘were very painful’ but Melin assured her that it was completely normal. Three weeks after the treatment Marcelle’s jowls had not improved, so she returned to Melin for a free ‘top-up’ appointment and Melin said that he was a fully qualified plastic surgeon and had trained in America. Marcelle decided to have her brow done at the same time as her jowl top-up and paid an extra £100. ‘My husband was pulling faces at the increased swelling of my face, and kept telling me to go to the hospital but I was too embarrassed and worried that people would think it was self-inflicted.’ ‘Instead, I sent a picture of my face to Ozan and asked ‘in his medical opinion should I get medical help or buy some antihistamine? He said ‘they are for an allergic reaction which you don’t have, and advised that my swollen face was perfectly normal and advised me to take ibuprofen and to put a warm flannel on my face’. By the next morning, Marcelle was in so much pain she went to her GP who immediately sent her to A&E where she was diagnosed as having suffered anaphylactic shock which they warned could have been fatal. After five hours of being hooked up to a heart monitor and receiving intravenous medication, Marcelle was discharged with a strong cocktail of antibiotics, antihistamines and steroids. Marcelle’s face remained swollen for three weeks and the effects of the illness left her unable to work. They advised her to contact the General Medical Council (GMC). 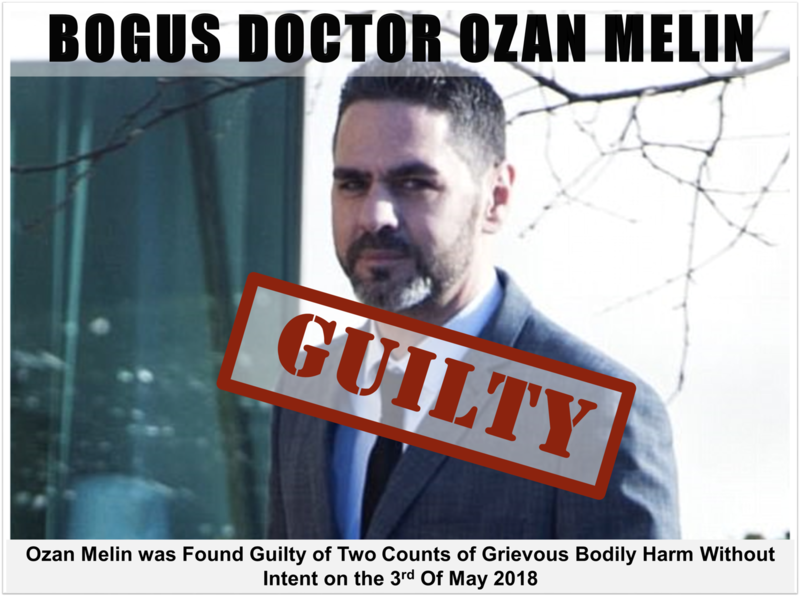 The GMC confirmed they held no record of an Ozan Melin. They, in turn, suggested she contact the MHRA, who in turn suggested she contact Allergan (the manufacturers of Botox) and trading standards. Allergan advised Marcelle to report it to the Police as it was an assault. She reported the incident to the police who started an investigation. During this investigation, the Police commissioned tests to analyse the substance to identify what had caused her to suffer such a severe reaction to the treatment. The tests revealed that Marcelle had not been injected with any licensed forms of Botox but with a substance made with unpurified beef gelatine. It is suspected that Melin purchased the counterfeit product illegally over the internet. Upon further investigation, the police discovered a flurry of other victims who had suffered similar reactions following treatments administered by this bogus doctor. Alongside Dorset police, Marcelle has pursued the case against Melin for 5 years to ensure that he was brought to justice and has declined an offer made by his defence team to plead guilty to lesser charges. Thanks to Marcelle’s bravery and tenacity, Melin has been found guilty of 2 counts of Grievous Bodily Harm without intent. On the 8th of June Melin was sentenced to 4 years imprisonment. ‘Your entire business was built on lies, you pretended to be medically qualified. ‘You recklessly administered a substance that caused serious injury to those who were paying you for that service. Save Face have been working alongside Marcelle and Dorset Police in the months leading up to the trial proving information and statements to support the case. ‘It’s been a long and complex investigation, dealing with agencies in the UK, Europe, America and China. I’d like to praise the victims for their strength and commitment, I believe justice has been served and it should send a message out’. This conviction is a monumental breakthrough in this industry sector, where sadly, it is becoming commonplace for unscrupulous people like Melin to set themselves up as a treatment provider, claiming false credentials and illegally importing counterfeit products that seriously compromise patient safety. Too often, unscrupulous people like Ozan Melin have been able to practice with impunity. We hope that this conviction will send a clear message to deter any others who are practising in this way to stop and for anyone who thinks that they can make a quick buck at the cost of others to think again. Despite being left with permanent damage to her nerves and facial muscles which impacts her day to day activity, Marcelle has continued to campaign for tougher restrictions and sanctions for those who flout the rules and has agreed to join the Save Face advisory panel as Patient Safety Ambassador. Save Face is there to help people make informed choices, and those on their website have been thoroughly checked out to ensure they are who they say they are, and they are also visited by Save Face to confirm they have a clean and safe environment. I wanted my story to be ‘out there’ so that no one else ever has to go through what I did (it never crossed my mind that there were unscrupulous people giving Botox injections). Being on board with Save Face allows me to helps others avoid the likes of Ozan Melin. Don’t just think ‘if it’s cheap it can’t be any good’, as I paid more for my Botox than if I’d gone to any legitimate providers. 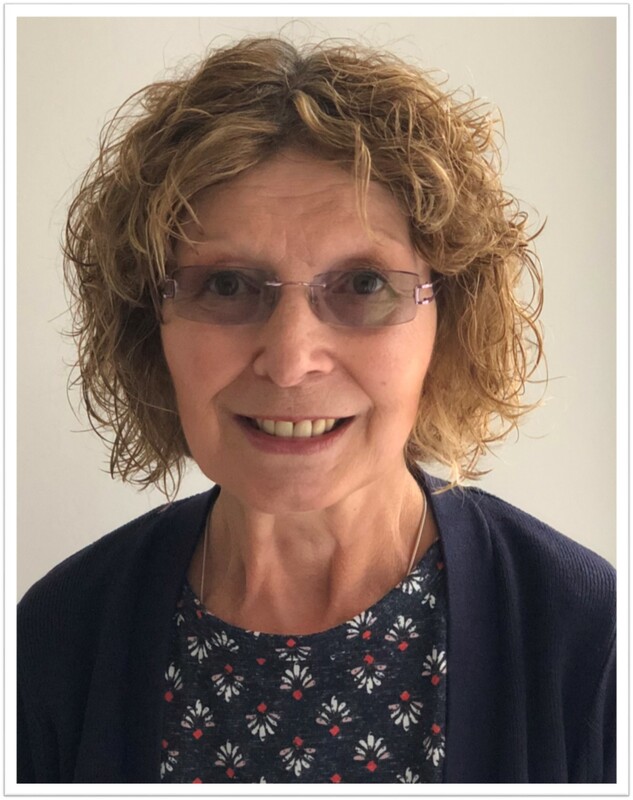 ‘We are thrilled to be able to appoint Marcelle as our patient ambassador, she has worked selflessly with great courage and determination not only to bring Melin to justice but in raising public awareness about what happened to help prevent others from falling into the wrong hands. Experiences like Marcelle’s have been the driving force behind the reasons I established Save Face in 2014. Patients are often told to do their research and checks before choosing a practitioner, but the reality is they don’t know what to check and where to go to check it. Without registers like ours that verify practitioners against a stringent set of standards, patients are reliant on taking practitioners at face value, which in instances such as these really can have devastating consequences’.